Have you ever been washing dishes when your phone rings, and when you try to answer it, it falls into the water? Or go out on a fishing trip when your phone falls out of your pocket into the river? 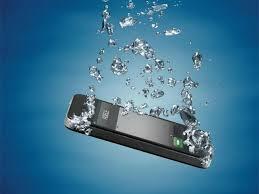 Getting water in your smartphone can cause so much damage that the phone is useless and has to be replaced. 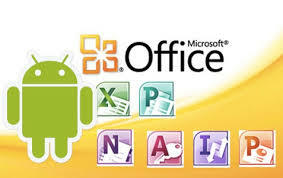 However, if you follow these easy steps immediately after your phone has gotten wet, there is a good chance you can save your smartphone from a watery death, and hopefully, have your phone up and running again in about three days. The first thing you should do, preferably within seconds of dunking your phone, is take out the battery. 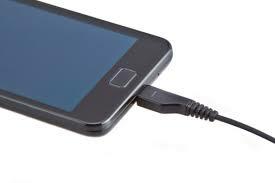 The main reason a phone dies when it hits water is because the battery sends power through the circuits, which short out when the connections are bridged by the conductor in water. You should also remove anything else that may keep water from getting out during the drying process. Things like the SD card, SIM card, and headphones. Also, if there is a hole that’s plugged by a case, stylus, etc, unplug it as quickly as possible. 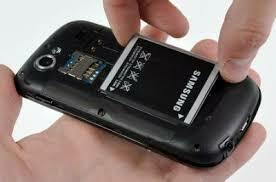 If your phone doesn’t have a removable battery, carry on with the next step. Every second counts when it comes to saving a wet phone and it’s imperative that you shut the device down as quickly as possible. 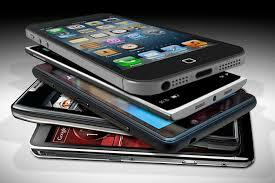 The longer your phone stays on, the higher the risk of damage will be. 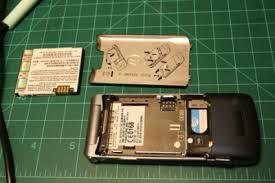 Of course, if you’ve removed the battery, your phone is already shut down. But if the battery cannot be removed, shut the phone down completely by using the power button before moving onto step 3. If the thought of taking your phone apart yourself makes you nervous – skip to step 4. If you’re comfortable dismantling your phone, begin by unscrewing the backplate and removing the logic board so that it can air dry. It’s important to note that this may void any warranty you may have – so if your phone is still under any type of warranty or protection plan – skip to step 4. Regardless of whether you’ve taken your phone apart, or it’s still in one piece, use a can of compressed air to clean out every nook and cranny as much as you can. 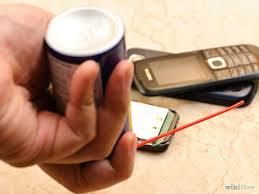 If the phone is opened, blow air onto the logic board, around the battery and around the screen. If the phone is closed, blow air through any open holes in the case such as microphone port, speaker ports, earpiece and charging dock. Focus most of your attention on the charging dock as it is the closest to the battery compartment, and being the largest hole, will give you plenty of space to move the nozzle around a bit. 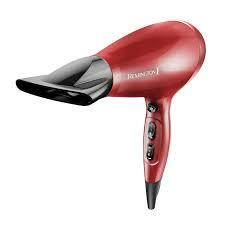 If you don’t have a can of compressed air handy, a hair dryer will also do the job quite well. However, be sure to only use cool air and don’t turn on any heat settings. No, it’s not time to give up and eat lunch. This is probably the most critical step of all. The one that no matter what other steps you’ve tried, is the most likely to succeed in saving your phone. Stick it in a bowl of rice. Rice works because it acts as a desiccant, which pulls the moisture from the air. Which means it will slowly pull the moisture out of your phone. If you want something stronger to pull the moisture out more quickly, purchase an iFixit Thirsty Bag and keep it on hand for emergencies. As a common household item, almost everyone will be able to get their hands on some rice, quinoa, or couscous. You’ll need between half a pound and a pound for it to be effective. Take the grains out of the package and put them into an airtight container. 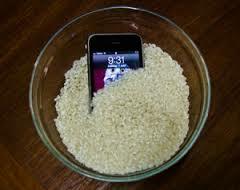 Then submerge your phone completely and put the lid on the container after removing as much excess air as possible. Then wait at least 72 hours before trying to turn your phone back on. Once the 72 hours are up, pull the phone out of the container. Carefully check every piece of the device to ensure there is no water, and once you’re sure it’s completely dry, put the battery back in, cross your fingers, and hit the power button. 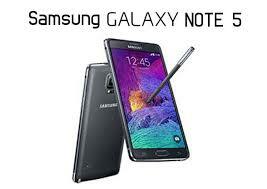 If all has gone well, your phone should boot right up and be as good as new. If this has happened to you, you might want to consider waterproofing your phone, and we’ll show you how in an upcoming article. 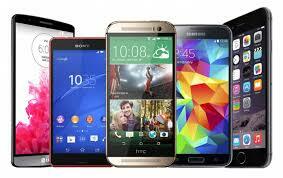 Do you have an old phone you’d like to sell? Click here to find out how.